Becoming an elite trader is not something that happens on its own. The CIT is a true trading school that offers a trading training course backed by a MBA diploma that is based on both theory and practice in a trading room. The course was created for students who wish to pursue a career in trading or in another related market finance career. The unique nature of the CIT MBA’s program provides students with the skills that recruiters seek when hiring traders. The MBA Trader program lies on an element of duality, as it is divided into a market finance theory course and concrete application in a trading room that is specifically dedicated to the school’s students. The program is backed by a research department that specializes in swing trading and financial mathematics. 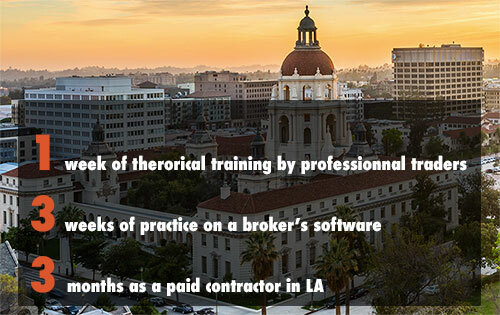 In addition to the training course, the Californian Institute of Trading provides its students with the opportunity to study in a multicultural and Anglophone environment that is indispensible for becoming a bilingual professional trader. This framework offers the students part of the MBA Trader program the opportunity to apply trading principles in a constantly changing, dynamic economic sector, in order to have a solid experience by the end of their training course. 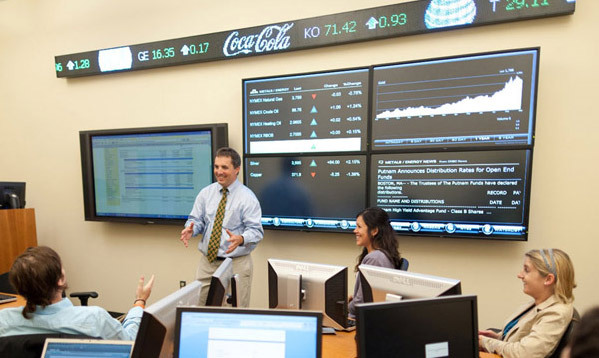 The Californian Institute of Trading offers a MBA through a unique pedagogic approach that combines both a study of financial theory and applied practice on a trading floor. The CIT recruits and selects students based on their potential through competitive entrance exams, both in France and across the world, to prepare them for careers in market finance. The Institute seeks to mold its students into leaders capable of anticipating changes in the world, and to become responsible actors in positions of leadership. We systematically register all knowledge transmitted to the CIT through research in all domains of financial science. We remain up to date with practices and expectations of large business and investment banks with the most influential funds in the world, with whom CIT has held privileged relationships with since its creation. We ensure that all students have the opportunity to work in an international setting from the beginning and through the duration of their studies. Whether through an exchange program or a double diploma, students have the chance to experience working in a diverse multinational environment on the CIT campus. 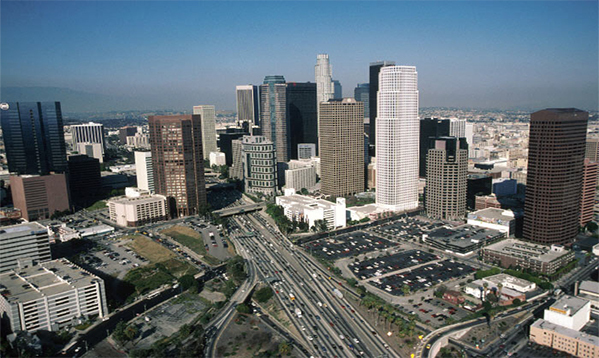 The CIT’s location in the heart of Los Angeles is not arbitrary. It allows students to expose themselves to multiculturalism in an Anglophone environment, in which they become bilingual Traders, Quants, researchers or fortune managers. Students are immersed in North American business culture, and leave the CIT with a connection to a strong network of stakeholders central to market finance. Last available spots here ! 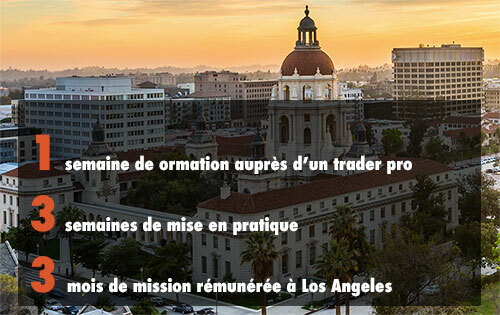 Become a Trader with the MBA Trader of the Californian Institute of Trading of Los Angeles. 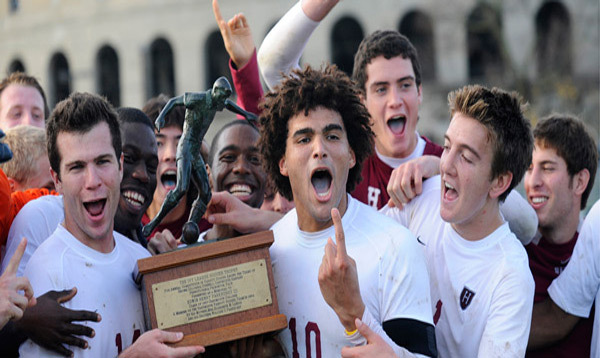 Take the CIT's MBA admission test ! 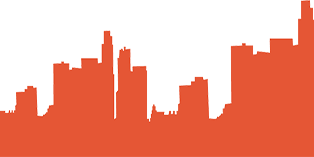 Contest entries for the MBA of the CIT starting next January are open ! How much does an average trader make ? Restrict bonuses, a double-edged sword. Of the use of a smart stop loss ? 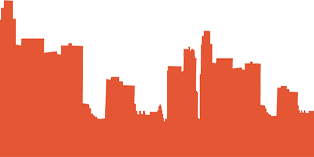 Publications and educational resources of the CIT. Innovation and financial engineering research at CIT.